"I began in the Sixties as a revisionist Christian theologian, but I seem to have ended trying to make the philosophy of life into a respectable subject. Nobody has as yet quite been able to do this in the English-speaking world. I seem to have moved from standard Western Christian faith to an eclectic Christian philosophy of life." Don Cupitt was born in 1934 in Lancashire, England, and educated at Charterhouse, Trinity Hall Cambridge, and Westcott House Cambridge. He studied, successively, Natural Sciences, Theology and the Philosophy of Religion. In 1959 he was ordained deacon in the Church of England, becoming a priest in 1960. In the early 1990s he stopped officiating at public worship, and in 2008 he finally ceased to be a communicant member of the church. 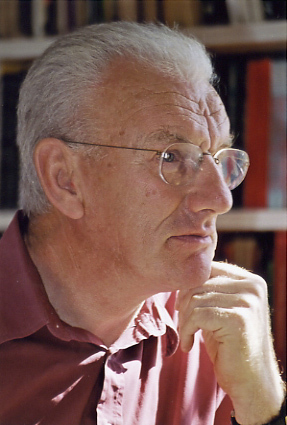 After short periods as a curate in the North of England, and as Vice-Principal of Westcott House, Cupitt was elected to a fellowship and appointed Dean at Emmanuel College late in 1965. Since then he has remained at the College. In 1968 he was appointed to a University teaching post in the Philosophy of Religion, a job in which he continued until his retirement for health reasons in 1996. At that time he proceeded to a Life Fellowship at Emmanuel College, which remains his base today. He is married, with three children, and five grandchildren. Don Cupitt&apos;s books began to appear in the early 1970s, without attracting much public attention. He first provoked hostile notice by his participation in the symposium The Myth of God Incarnate (1977), and then became nationally known for his media work — especially the three BBC Television projects Open to Question (1973), Who was Jesus? (1977), and The Sea of Faith (1984). Cupitt&apos;s notoriety peaked in the these years of the early 1980s, his most important book of that period being Taking Leave of God (1980), which shut down his career and made him in the eyes of the Press an atheist and perhaps ‘the most radical theologian in the world’. He survived, partly because the then Archbishop of Canterbury and the then Master of Emmanuel defended his right to put forward his views. Since that time he has devoted his energies to developing his ideas in a long line of books. In his writing, and in the various societies he has tried to foster, Don Cupitt attempts to develop new thinking for a new epoch: a new philosophy, a new ethics, and a new religious thought. His thinking develops continuously and is not easy to summarize, but the best introduction to it has been given by the late Nigel Leaves in his recent two-volume study. The Sea of Faith TV series can be sampled on YouTube, and obtained on DVD from Sea of Faith UK; and the book is still in print. It is reasonably accessible to beginners in philosophy and theology. Readers with more time and energy should simply read Cupitt’s recent books in the order in which they were written — beginning with Impossible Loves (2007). A short crib to his ideas is provided by Turns of Phrase, 2011. The fullest bibliography in print is that in Gavin Hyman&apos;s Festschrift volume of 2004, New Directions in Philosophical Theology , published by Ashgate. From 1980 to 2000 the SCM Press of London was Cupitt’s main publisher, and they still have over twenty titles available. The Polebridge Press of Willamette University, Salem, OR published between 2001 and 2015 many of Cupitt&apos;s titles. The books are most conveniently and quickly got by ordering them by credit card over the internet, if they are currently in print, from amazon.com or amazon.co.uk (try both), and if they are out of print, from abebooks. Nine of the best titles are now available as E-Books for Kindle. Bona fide scholars and research students who are unable to get the texts they need should write to Don Cupitt at Emmanuel College, CAMBRIDGE CB2 3AP, UK. If he has enough spare copies, he will simply mail them free to enquirers. It goes without saying that he is at all times ready to give what assistance he can to scholars and research students who wish to consult him. Much of Cupitt’s thinking clearly belongs to the philosophical tradition rather than to theology, and the best clues to his ideas can often be given by quoting the philosophers who have been important to him at different times. In his youth, he was most impressed by Hume and Kant. Then he became absorbed in Kierkegaard, in the movement from ‘organized religion’ to ‘spirituality’, and in the classics of Christian mysticism. This early period culminated in Taking Leave of God (1980), Cupitt’s last book in his Kant and Kierkegaard manner. In 1981 he became immersed in Nietzsche, and then in Richard Rorty and Mark C. Taylor. By the late Eighties he had assimilated the early Derrida and French postmodernism. During the Nineties the most obvious new development was a brief turn, around 1996/98, to Heidegger. At the same time Cupitt also turned to ordinary language, and to this life. He rejects all ideas of gaining salvation by escaping from this world of ours. "All this is all there is", he says and he now sees true religion in terms of joy in life and an active attempt to add value to the human lifeworld. ‘Life’ is all that there is and all we have, and must be accepted with its limits as a package deal. We must avoid all attempts to deny or escape the limits of life — traditionally time, chance and death. Recently, Don Cupitt has found views like his own in the surviving writings of Etty Hillesum, who died in Auschwitz. Outside the Western tradition, Cupitt has looked mainly to Buddhism. Of his recent books, Emptiness and Brightness (2001) is the most Buddhist. He is a friend of Stephen Batchelor, who is sometimes described as his counterpart within Buddhism. Sea of Faith Network, UK is sofn.org.uk. Don Cupitt’s most recent book is Ethics in the Last Days of Humanity, 2016. He has recently given up public activity but may write a little more yet, if his health permits. Since 2009 he has slowly been developing a new view of Jesus as "the Prometheus of Morality". As his opponents said, Jesus really was a rebel, who took the power of creating morality from Heaven and gave it to us humans. Thus he opened the way to the Death of God. Eighteen of Cupitt’s recent books have been translated into Chinese, and he has enjoyed visiting two Chinese Universities. The reason for this move to the East is that, whereas in the West Cupitt is read mainly in Theology faculties and is therefore regarded as impossibly heretical, in China he is read as Philosophy and gets a much fairer hearing. Thus for Cupitt there is, paradoxically, more religious freedom in China than in the West. He is seen as writing somewhere between Christianity, Buddhism and French-style postmodernism, and his present religion of "solar" commitment to ordinary life makes sense to many people in China, which has never been much attracted to other-worldy, dogmatic religion. He has recently deposited the bulk of his archive at Gladstone&apos;s Library, HAWARDEN, Flintshire, CH5 3DF, UK. Gladstone's Library, which was formerly known as St Deiniol's Library, is a residential library, especially of theological books.